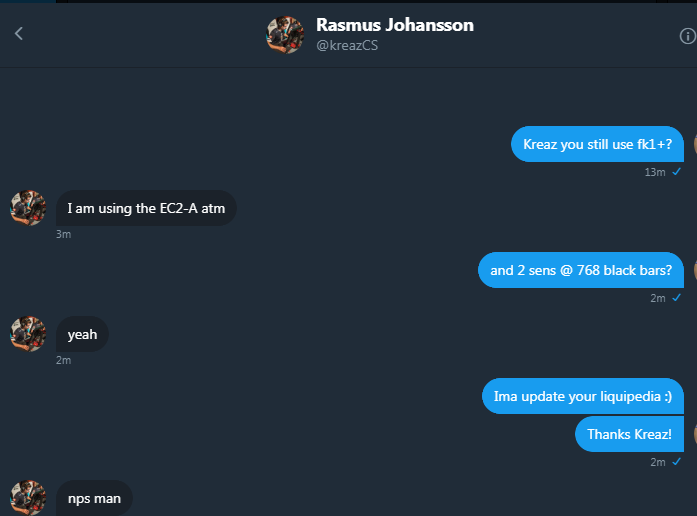 Rasmus "kreaz" Johansson is a Swedish Counter-Strike: Global Offensive player. Last updated on 2018-09-16 (208 days ago). This page was last edited on 4 April 2019, at 23:43.